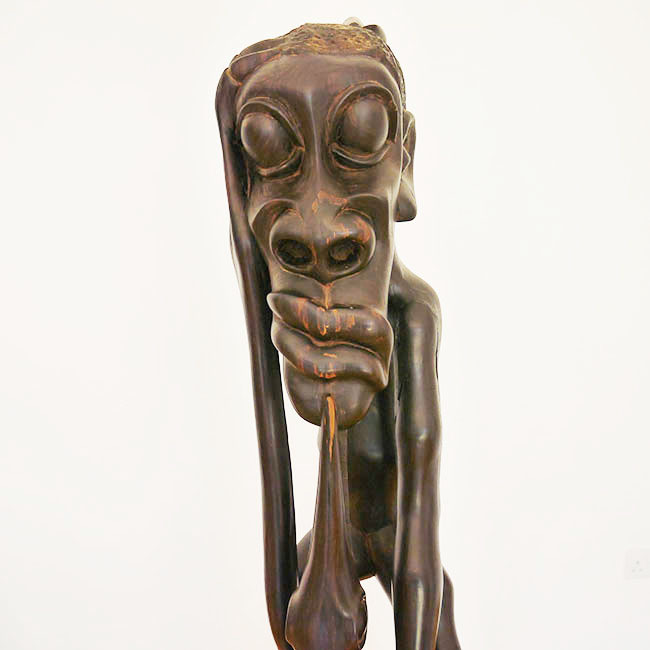 From traditional Makonde Sculptures - chameleon entwined Shetanis by Hossein Anangangola and grotesque creatures by Tanzanian Bernhard Pius & Mathias Nampoka - to the contemporary Giacometti like elongated and fragile female bodies of the late Makonde sculptor Simun Nyedi Dastani and his sons Boniface and Simon: the breast, the jar-head, the neck evolving into a snake, the long and frail legs, the clinching child - stylized elements as old and contemporary as ever. 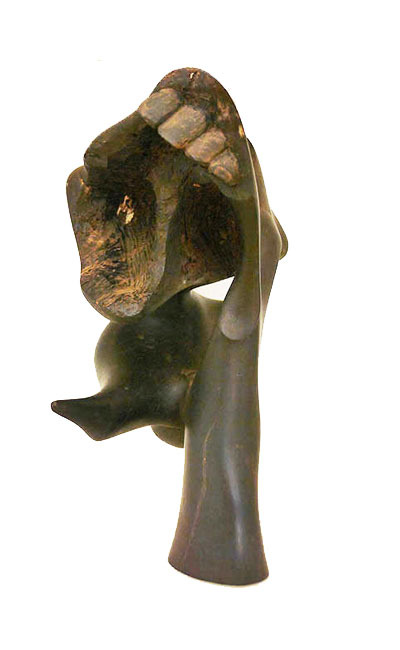 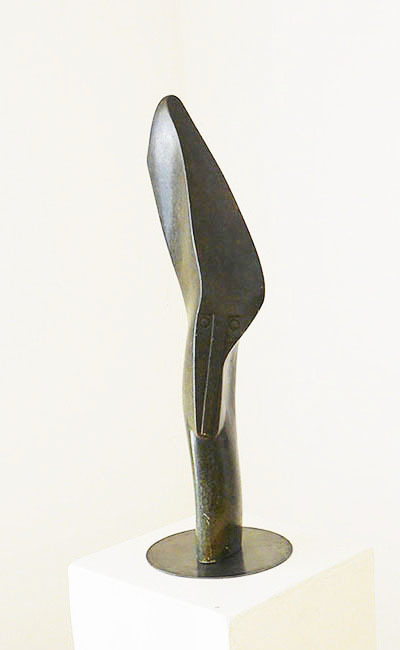 From Zimbabwe’s first generation Shona sculptors Bernhard Matemera, Henry Munyarazi, Amali Maroba and Antony Makurirofa to a contemporary abstract stone sculpture by Tom Phiri, from Zambia. 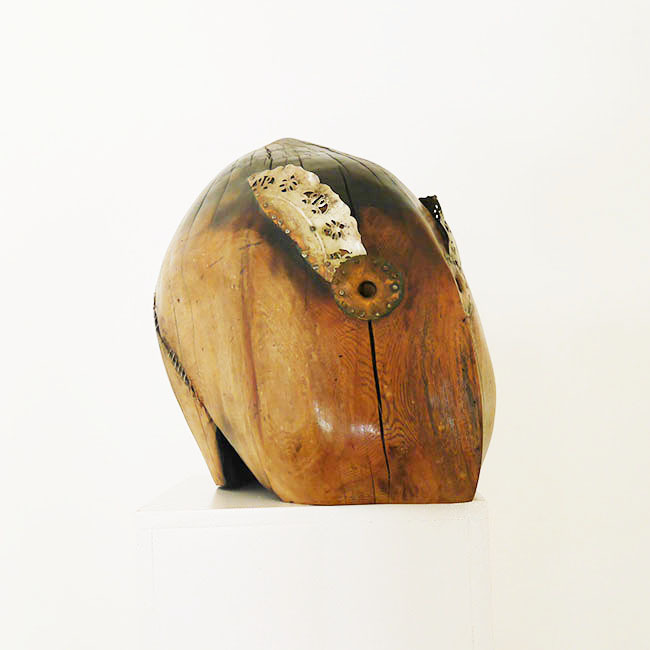 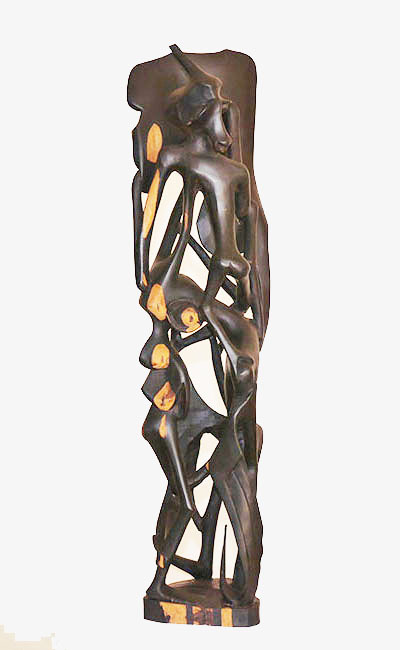 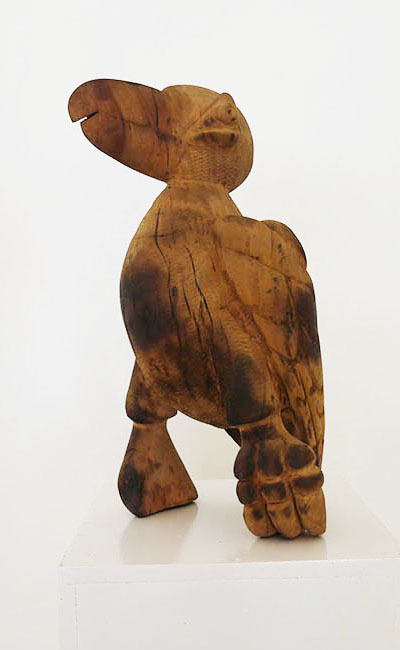 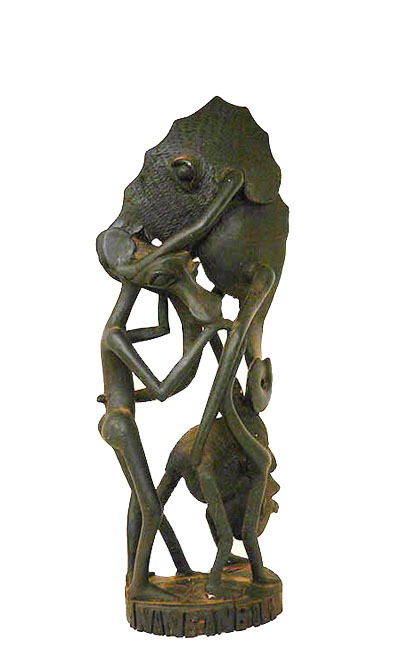 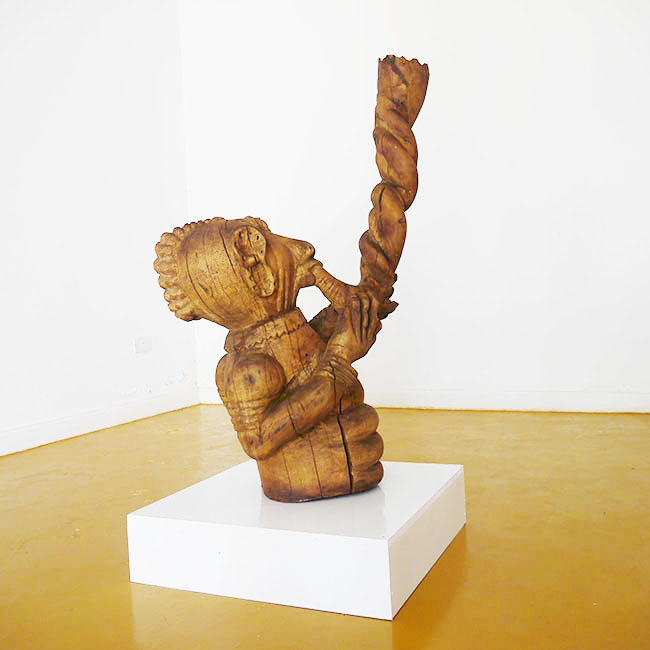 From the Kenyan master in wood sculptures Morris Foit to contemporary Kenyan sculptors Denis Muraguri and Gor Soudan. 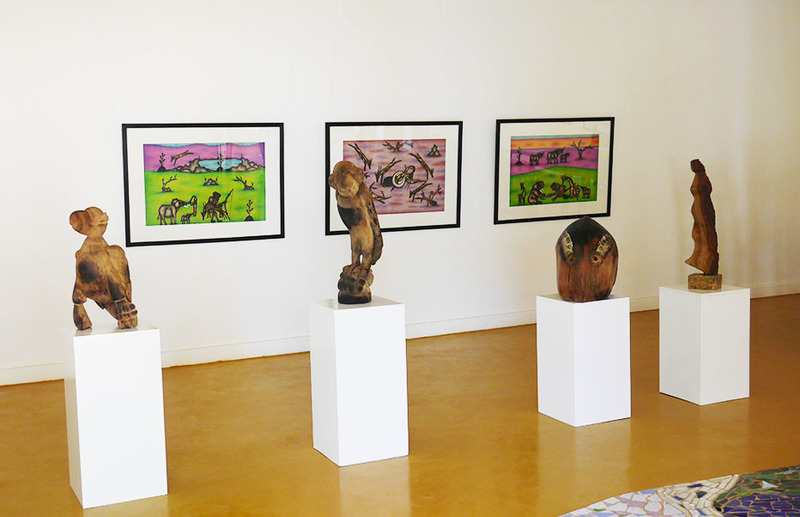 A three dimensional presentation enriched by the archaic wax crayon paper drawings of Kivuthi Mbuno, his bizarre, hauntingly grotesque and almost surrealistic interpretation of nature, man and animal.